Does the internet of things need its own internet? Ask any mobile operator, and they’ll tell you their networks will become the backbone of the future internet of things. All of those connected meters, cars, medical devices and other assorted gadgets will need an always-on and ubiquitous available network, making today’s cellular network ideal for the task. So far, carriers’ confidence is well founded. Mobile operators are using their 2G and mobile broadband networks to connect everything from jukeboxes to ice machines, and as mobile phone penetration nears 100 percent, a good deal of carrier growth is dependent on these new machine-to-machine (M2M) subscriptions. But a French startup named Sigfox is challenging that accepted wisdom. Sigfox business development chief and internet of things of evangelist Thomas Nicholls said that cellular networks were meant to connect humans, not objects. Sigfox is proposing to build an alternate wireless network dedicated solely to linking together the internet of things. Our mobile phones are always on and ready to receive and make phone calls, update our Facebook(s fb) and Twitter feeds or download new email, but the majority of objects linked to the network will connect rarely. A GPS tracker in a vehicle or shipping container may send out its coordinates just once a day. A smart meter may link back to its utility company’s servers once a week. Many of the sensors being embedded in devices from vending machines to security cameras only transmit when something goes wrong, meaning a M2M module may wait months if not years between connections to the network. To host these devices over power-hungry and expensive cellular radios makes little sense, Nicholls said. The better course is to attach these devices to a network optimized for their use cases — one that can support billions of devices each sending relatively little data at distinct intervals, Nicholls said. Sigfox has developed a wireless architecture using ultra narrow-band modulation techniques that can theoretically support millions of devices with only a handful of network transmitters. Using the unlicensed frequencies commonly used for baby monitors and cordless phones (868 MHz in Europe and 915 MHz in the US), Sigfox SAYS IT can provide the same coverage with a single tower that a cellular network could provide with 50 to 100 cell sites. Sigfox is building a network covering all of France with 1,000 transmission sites, and Nicholls estimates that the company could do the same in the US with 10,000 transmitters. 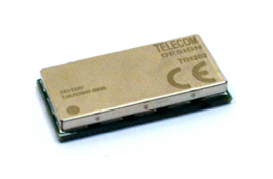 The radio modules embedded in objects are about the size of two thumbnails, and they transmit at power levels 50 times lower than their cellular M2M counterparts. Such low consumption levels mean that objects that normally have no external power supply could remain connected for as a long as 20 years before their module batteries would require recharging, Nicholls said. Sigfox’s ultra narrow-band technology can only support bandwidths of 100 bps — which makes it far slower than even the poorest 2G data connection. Devices that ship large quantities of data or maintain constant connections to the network aren’t the “things” that Sigfox intends to connect. The internet jukebox, which downloads any song from any artist on request, would require a 3G or 4G connection to handle the demand for media streaming. But the vending machines or the arcade game sitting right next that jukebox would be ideal candidates, using their connections only when they’re malfunctioning or need a refill of refreshments. Connected home appliances like LG’s new Smart Thinq refrigerator, GPS tracking devices, smart meters and medical alert sensors are all the types of devices that Sigfox hopes to target. Nicholls added that Sigfox thinks there’s a huge opportunity in the growing business-to-consumer connected device space. The assortment of gadgets and wearable devices making their way into the connected home and onto our bodies are typically connected by local area networking technologies like Bluetooth, Zigbee and Wi-Fi. But Nicholls thinks there’s a big case to be made for replacing those technologies with Sigfox. As Sigfox achieves economies of scale, its radio will not only shrink, their costs will fall to just a few dollars per module. Due to the huge efficiencies in running its network, Sigfox can maintain a device connection for little more than a dollar a year, Nicholls said. At those prices, gadget manufacturers can factor connectivity costs into the device costs without requiring customers to sign up for a subscription. Not only would using Sigfox give these devices range far beyond local networks, they would be “on” right out of the box, Nicholls said. By virtue of Sigfox’s dedicated network there is no gateway to buy, no settings to configure, no devices to pair. That’s a concept other internet of things pioneers have pursued. For instance, Ambient Devices runs its own dedicated datacasting network to connect its assortment of lifestyle gadgets. Sigfox isn’t just developing M2M technology. It has ambitions of becoming a global facilities-based carrier specializing in the internet of things. It’s built its own network in France, where it has one publicly announced customer in Clear Channel Outdoor Holdings (s cco), which uses Sigfox to connect its digital billboards and signs. It’s planning to expand to other countries in Europe, and it’s in discussions with potential partners in the US, Nicholls said. “In the U.S., it won’t be long before we have something to announce,” Nicholls said. But Sigfox isn’t fooling itself into thinking it will hold a monopoly on the internet to things. Nicholls said Sigfox hopes to partner with operators rather than compete with them, deploying its ultra narrowband networks alongside their cellular networks. Sigfox has also submitted the technology to the European Telecommunications Standards Institute (ETSI) with the aim of turning its proprietary technology into a standard. The Toulouse-based startup also has at least one big fan in the U.S. In September, Intel(s intc) Ventures led a €10 million (US $12.8 million) investment in the fledgling company as part of Series B round that included Sigfox’s existing investors laia Partners, Partech Ventures International and iXO Private Equity. The company has now raised €12.1 million in total funding. Thank you for the insight you provide. I have added you to my Twitter feed and will actively follow your contributions on this and other technology topics. As new technologies develop, new systems will be created to help them run. Sigfox is addressing some of these concerns (1, and, partly, 3 and 6). Mesh networking, such as, for example, what we are doing at Open Garden (http://opengarden.com), on the other hand, addresses all six of the concerns. This isn’t a choice, either. These are different parts of the puzzle. Open Garden can connect everything together and use whatever exits available; having a greater diversity of exit options and exits with cost structure that better reflects the needs of the Internet of Things is quite helpful. However, alone, carrier technology+infrastructure does not address the needs of the Internet of Things, because it doesn’t fully address concerns 3 and 6 and leaves concerns 2, 4, and 5 untouched. To solve this, different technologies need to work together. Sigfox reminds me of Ricohet from Y2k , they went out of biz, as they could not scale. Wishing Sigfox best. I have seen a article on phdguy website http://www.phdguy.com about future of web and death of google. Richard, I misunderstood your issue, I think I was tikalng about navigation in the front page. I’m not sure why you go to the next / previous post in category when you click on the arrows at the bottom of the post, my navigation takes me to the next / previous post (time based, not category based). I tried it by entering an article from the front page and also via category and it worked the same both times. Can you describe how you navigate step by step and what you see? I don’t know if you wrote the blurb at the beginning of your story, but you used “there” when you meant to use “their.” That’s sloppy. Why would I want to read any further? Whatever nugget of information you may have had to offer just got clouded by a stupid mistake. If you don’t know the difference, shame on you. If you didn’t write the blurb, then your editor is making you look stupid. Thanks, Ken, this mistake is fixed. Although it would have been nice if you had found a less condescending way to point it out. Hopefully you read the rest of this excellent article.